All HVAC warranties are not the same. You may not know this but there are very big differences in the warranties offered by all major manufacturers. And the reason is QUALITY. Most manufacturers don’t have high confidence in their equipment and therefore do not offer full coverage. Even with their extended warranties there are some items that are just not covered. Here are some key items that you should question the Comfort Specialist when they arrive. If you don’t register your equipment, your warranty is only 5 years. Registering your equipment can get you up to 10 years parts coverage. Most warranties only cover parts cost. Parts represent only 30% of total repair costs. So 70% of the repair cost is not covered without a separate labor warranty. Very few companies offer labor warranties through the manufacturer. Most labor warranties are through 3rd part companies with deductibles and trip charges. A 10-year labor warranty that covers end to end labor including trip charges and deductibles is rare. Labor warranties are extra and not included with most installs. And most do not cover incidentals such as refrigerants. 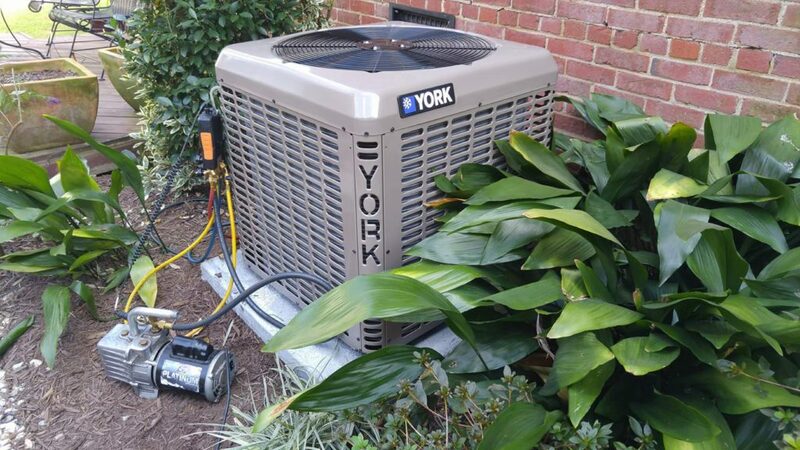 Now for good news, York HVAC offers a low cost labor warranty from the manufacturer that not only covers all labor costs from day 1 for 10 years, but covers incidentals such as refrigerants too. The York “Comfort Plan” is a true “WORRY-FREE” warranty that covers all costs (not including thermostat) from day 1 through year 10. And if you select to decline the comfort plan, there is still coil coverage for 10 years including labor, standard with any new residential install in 2018. Even if you do not buy the extended labor warranty, York HVAC covers your labor for the first year after installation. No other manufacturer covers like York.